MRI is sensitive for joint inflammation, but its ability to separate subgroups of arthritis in children has been questioned. Infectious arthritis (IA), postinfectious arthritis (PA), transient arthritis (TA) and juvenile idiopathic arthritis (JIA) are subgroups that may need early, different treatment. To determine whether MRI findings differ in IA, PA/TA and JIA in recent-onset childhood arthritis. Fifty-nine children from a prospective study of incidence of arthritis (n = 216) were, based on clinical and biochemical criteria, examined by MRI. Joint fluid, synovium, bone marrow, soft tissue and cartilage were scored retrospectively and analysed by Pearson chi-square test and logistic regression analysis. Fifty-nine children had MRI of one station. IA was suggested by bone marrow oedema (OR 7.46, P = 0.011) and absence of T1-weighted and T2-weighted low signal intensity synovial tissue (OR 0.06, P = 0.015). Furthermore, soft-tissue oedema and reduced contrast enhancement in the epiphyses were more frequent in children with IA. JIA correlated positively with low signal intensity synovial tissue (OR 13.30, P < 0.001) and negatively with soft-tissue oedema (OR 0.20, P = 0.018). No significant positive determinants were found for PA/TA, but bone marrow oedema, soft-tissue oedema, irregular thickened synovium and low signal intensity synovial tissue was less frequent than in IA/JIA. In children with high clinical suspicion of recent onset arthritis, there was a significant difference in the distribution of specific MRI features among the diagnostic groups. MRI is sensitive for joint inflammation, but its ability to separate subgroups of arthritis in children has been questioned [1, 2, 3]. Infectious arthritis (IA), postinfectious arthritis (PA), transient arthritis (TA) and juvenile idiopathic arthritis (JIA) are subgroups that may need early, different treatment [4, 5]. IA is rare, but can be life-threatening. It requires prompt treatment, such as surgical drainage and antibiotics, aimed at preventing joint destruction and secondary growth disturbances [6, 7]. PA, like acute rheumatic fever, requires antibiotic treatment to minimise complications, while JIA requires early treatment with antirheumatic drugs to prevent joint destruction . Apart from imaging, blood cultures, joint fluid aspiration, serological tests and histoimmunological tests are used to establish the diagnosis in a child with recent-onset arthritis. However, in 30–70% of the cases of IA there will be negative blood culture and joint aspirates [9, 10]. Adjacent arthritis (septic or reactive) has been found in up to 40% of children with acute osteomyelitis . Today, MRI is a diagnostic supplement to show extension of joint inflammation and to exclude osteomyelitis. Studies of MRI-specific traits that may differentiate the various subgroups of acute arthritis are few, comprise a small number of patients and studies have so far focused on hips, trying to differentiate TA from septic arthritis [12, 13, 14]. Separate studies of MRI findings in hips and knees in JIA patients have been performed [15, 16, 17, 18], but JIA patients have not been investigated for MRI characteristics during the early phase of the disease, before the diagnosis is established at 6 weeks. 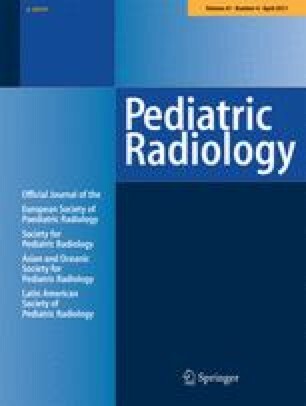 Our aim was to describe MRI findings in synovium, bone marrow, joint fluid, soft tissue and cartilage in children with recent-onset arthritis recruited from a population-based study of the incidence of arthritis, and to determine whether MRI characteristics can differentiate IA, PA/TA and JIA from each other in an early phase of the disease. The study was part of a prospective epidemiological multicentre study including four Norwegian hospitals in three counties in southeastern Norway . The original study in a population of 255,303 children younger than 16 years focused on the incidence of recent-onset arthritis and osteomyelitis. In Norway, the majority of patients receive care in their county of residence and the homogenous health care and social security system (based on equality of access) facilitate recruitment to epidemiological studies. All primary care physicians, paediatricians, orthopaedic surgeons and rheumatologists (n = 1,300) in the area were asked to refer all children with suspected inflammatory disease in bone or joints with duration <6 weeks to the hospitals between May 1, 2004, and June 30, 2005. All children were examined within 3 days of referral at one of the paediatric departments in the region or at the regional department for paediatric rheumatology. Inclusion required at least one of the following criteria: (1) joint swelling, (2) limited range of motion in ≥1 joint or walking with a limp or other functional limitations affecting arms or legs, and (3) pain in ≥1 joint or extremity together with C-reactive protein (CRP) level >20 mg/l and/or erythrocyte sedimentation rate (ESR) >20 mm/h and/or white blood cell count (WBC) >12 × 109/l. The diagnosis was based on clinical findings, laboratory tests, joint fluid aspiration and US of the affected joint, and the children were followed up with clinical examinations after 6 weeks and 6 months. Final diagnosis was made after 6 months of follow-up and re-evaluated by chart review 2 years after inclusion of the last patient. We also searched the hospital records to identify any patients who met the recruitment criteria but had not been included. All patients with diagnosed JIA were followed for 2 years and the extended follow-up ensured that prolonged reactive arthritis was not misinterpreted as JIA. Conventional radiographs were taken to exclude other orthopaedic conditions. Patients with joint swelling and pain secondary to Legg-Calvé-Perthes disease, meniscal tear, fracture, osteochondritis dissecans or malignancy were excluded. There were no findings of other synovial diseases, e.g., pigmented villonodular synovitis, synovial tumours or haemophilia arthropathy. Only appendicular joints were included in the study. Informed consent was obtained from the parents or guardians of all the children and the study was approved by the regional ethics committee. The indications for MRI were acute joint swelling, pain, reduced use of an extremity or other clinical suspicion of inflammatory joint or bone disease combined with fever >38.5°, ESR >30 mm/h, CRP >30 mg/l, WBC >12 × 109/l and/or an excessively painful joint. MRI was also obtained if clinical signs of arthritis continued for >2 weeks. The arthritides were categorized into three different groups: IA, PA/TA and JIA. A diagnosis of IA was made when there were verified bacteria and/or at least 50 × 109 WBC/l in the joint fluid, positive blood culture and/or adjacent osteomyelitis, soft-tissue abscesses and/or cellulitis. The diagnosis of osteomyelitis was based on clinical findings combined with positive culture from bone biopsy, histology showing inflammation, MRI consistent with osteomyelitis or positive bone scan. PA was diagnosed when evidence of antibodies against bacterial agents such as Streptococcus pyogenes, borrelia or enterobacteria was verified, or there was positive throat culture for Streptococcus pyogenes. TA was defined as arthritis of <6 weeks duration with no verified triggering agent. JIA was diagnosed according to the preliminary criteria for the classification of JIA . MR imaging was performed at four departments of radiology using 1.0-T or 1.5-T MR units. The MR protocols were centrally devised and included at least one T1-weighted sequence (TR 400–700 ms, TE 10–21 ms), short tau inversion recovery (STIR [TR 1,040–5,210 ms, TI 120–160 ms, TE 5–100 ms]), and at least one contrast-enhanced T1-W sequence with or without fat suppression (FS). Gadolinium-containing contrast medium was given with a dosage of 0.1 mmol/kg body weight. Field of view (FOV) had a range of 100–380 mm, according to which joint was examined. FOVs >200 mm were applied to examinations of the pelvis with both hips included. Slice thickness was 2–6 mm and slice gap 10–40%. Two radiologists with more than 10 years of experience in musculoskeletal MRI (EK and TR), blinded for clinical information apart from age, gender and the suspicion of an inflammatory joint or bone disease, reviewed retrospectively all the prospectively performed MR images and registered the presence of excessive amounts of joint fluid and synovitis. MRI findings considered consistent with arthritis were synovitis and/or hydrops with no other obvious causes. One of the radiologists (EK) further assessed the following findings: (1) amount of joint fluid, (2) synovial thickness, (3) appearance of synovial surface as smooth, irregular or with villous extensions, (4) synovial enhancement, (5) degree of bone marrow oedema, (6) degree of soft-tissue oedema, (7) signs of reduced perfusion of bone or cartilage, (8) size and number of regional lymph nodes and (9) tenosynovitis. The degree of joint fluid was graded as described by Mitchell et al. : grade 0, no sign of effusion; grade 1, trace of effusion; grade 2, continual effusion; grade 3, effusion with distension of the capsule. Hydrops was defined as joint fluid ≥ grade 2. Synovitis was defined as evident enhancement and/or thickening (≥2 mm) of the synovium/perisynovium. When synovial enhancement had to be evaluated from T1-W images without FS, identical unenhanced T1-W images were always available for comparison. The synovial thickness was measured as the observed maximum thickness of the synovium in any part of the joint. The synovium was described as smooth or irregularly thickened including villous. The presence of non-enhancing focal synovial areas with low signal intensity at all contrast weightings, named “low signal intensity synovial tissue,” was noted. The amount of bone marrow oedema was graded as none, ≤1/3 involvement or >1/3 involvement of the epi-, meta- or diaphysis. Bone marrow oedema involvement was interpreted from images aligned with the long axis of the bone or regional anatomy and covering its entire thickness. The degree of soft-tissue oedema was graded as none, trace or marked. Focal contrast-enhancing lesions in the epiphyseal cartilage or in the knee menisci as well as reduced contrast enhancement in the cartilage or bony epiphysis on FS T1-W images were assessed. The maximum short-axis diameter of the largest local lymph node was measured, and visible local lymph nodes were counted when the examined joint was a knee. Tenosynovitis was noted when the location was a hand or an ankle. Statistical analysis was performed with the program package SPSS 15 (SPSS Inc., Chicago, IL, USA). The continuous variables of patient characteristics, age and symptom duration were not normally distributed and were therefore described in terms of range, median and quartiles. Nonparametric methods were applied on these variables to determine differences between the groups. The Kruskal-Wallis test (one-way ANOVA by ranks) was first applied, and in cases of statistical significance (P < 0.05), the groups were tested in pair-wise analyses by the Mann–Whitney test (Wilcoxon rank sum) with Bonferroni corrections for multiple comparisons; P < 0.017 was then considered significant. Pearson chi-square (χ 2 independent test) or Fisher exact test for groups composed of <5 case subjects, were used as appropriate to determine differences among the groups for categorical variables. Continuous variables of MRI joint characteristics were normally distributed. The one-way ANOVA test was used to determine differences among the three groups for continuous variables. Logistic regression analyses were used for each diagnostic subgroup to assess the most important correlates among the MRI joint characteristic variables, with the diagnosis of JIA or IA versus other types of arthritis as the dependent variables. Initial univariate regression analyses were followed by stepwise multiple regression with backward deletion. Limit values for significance were set at P < 0.05 with Bonferroni corrections for multiple comparisons. Four hundred and twenty-seven children fulfilled the recruitment criteria for possible arthritis; of these, 216 had recent-onset arthritis, in this context defined as arthritis diagnosed at first referral to hospital in the period May 2004 to June 2005. Fifty-nine of the 216 children with clinical arthritis fulfilled the criteria for performing MRI. In each child, one station (joint or anatomical region) was imaged: 2 shoulders, 1 elbow, 7 hands (3 carpal joints, 1 metacarpophalangeal joint and 3 interphalangeal joints), 9 hips, 27 knees, and 13 feet (11 ankles, 1 tarsal joint and 1 metatarsophalangeal joint). Six children had undergone arthrocentesis 2–8 days before the MRI. No MRIs were excluded due to poor image quality. No scans were completely normal. Sixteen of the patients were classified clinically as having IA, 16 as having PA/TA and 27 as having JIA. The patient characteristics are shown in Table 1. Median age was 46 months (interquartile range 23–121) for JIA vs 22 months (interquartile range 14–37) for IA and 91 months (interquartile range 31–127) for PA/TA at the time of MRI. Age was significantly younger in the IA group than in the PA/TA group and the JIA group, (P = 0.004 and P = 0.012, respectively; Kruskall-Wallis non-parametric test). There were 29 boys and 30 girls. Follow-up interviews disclosed that some JIA patients with initially mild symptoms had had longer duration of symptoms than the <6 weeks assumed at referral. The median duration from onset of symptoms to MRI was 73 days (interquartile range 25–104) in JIA patients compared with 12 days (interquartile range 6–21) in IA (P < 0.001) and 16 days (interquartile range 6–39) in PA/TA (P = 0.001; Kruskall-Wallis non-parametric test). The median duration from first presentation to a physician to MRI was 54 days (interquartile range 20–105) in patients with JIA vs 9 days (interquartile range 4–17) in those with IA (P < 0.001) and 14 days (interquartile range 4–30) in those with PA/TA (P = 0.002; Kruskall-Wallis non-parametric test). Figures 1, 2, 3 and 4 illustrate the various MRI findings in children with recent-onset arthritis. Compared to IA and PA/TA, the synovium in JIA more frequently had irregular thickness (25.0% and 25.0% vs 63.0%, P = 0.013) and thickening with low signal intensity synovial tissue (6.3% and 25.0% vs 66.7%, P < 0.001; chi-square test) (Table 2). Large synovial villous extensions were observed in two children with JIA and intraarticular rice bodies representing intraarticular hyperplastic synovial masses were found in one child with JIA. Bone marrow oedema tended to be present more frequently in IA than in PA/TA or JIA, but the difference reached statistical significance only for oedema involving more than 1/3 of an epi-, meta- or diaphysis (50% vs 6.3% and 14.8%, P = 0.009; chi-square test). Soft-tissue oedema was present in all children with IA, which was significantly more often than in PA/TA or JIA (100.0% vs 50.0% and 44.4%, P = 0.001; chi-square test). Focal contrast-enhancing lesions in hyaline cartilage epiphysis or knee menisci were more frequent in IA compared with JIA (31.3% vs 3.7%, P = 0.035; chi-square test). Four children, all in the IA group, had focal contrast-enhancing lesions in the knee menisci. Four children with IA and none of the others subjectively had abnormally low contrast enhancement in the hyaline cartilage epiphysis or bony epiphysis (one shoulder, two hips, and one carpal joint); the difference was statistically significant only in comparison with JIA (25.0% vs 0.0%, P = 0.008; chi-square test). Cartilage thinning was found in two children, one with PA/TA and one with JIA. Local popliteal lymph nodes were seen in 27/27 children with knee arthritis, but there were no statistically significant differences among the groups regarding the size of the lymph nodes (data not shown). There was, however, a tendency towards higher counts of lymph nodes in JIA than in IA and PA/TA (4.1 ± 1.7 vs 2.0 ± 1.6 and 1.6 ± 1.3, nonsignificant; one-way ANOVA test). Popliteal cysts were found in four of 27 knees (one IA, one PA/TA and two JIA). Tenosynovitis coexisted with arthritis in feet and hands in the same proportion of all the groups and there were no significant differences (results not shown). The results of the univariate and multivariate logistic regression analyses identifying correlates of the diagnoses of IA and JIA are shown in Tables 3 and 4. Findings associated with IA were bone marrow oedema (odds ratio [OR] = 7.46, P = 0.011) and absence of low signal intensity synovial tissue (OR = 0.06, P = 0.015). Additionally, signs of reduced epiphyseal contrast enhancement and soft-tissue oedema were associated with IA in the univariate, but not in the multivariate analysis. The most important findings indicating presence of JIA were low signal intensity synovial tissue (OR = 13.3, P < 0.001) and absence of soft-tissue oedema (OR = 0.20, P = 0.018). Irregularly thickened synovium was associated with JIA in the univariate, but not in the multivariate analysis. No findings significantly associated with the PA/TA group were found (data not shown). When MRI findings and symptom duration were analysed in a multivariate logistic regression analysis controlling for the diagnosis of JIA, any relation between symptom duration and MRI findings was not significant and the diagnoses were the only influencing factor (data not shown). Age was not a control in any of our multivariate logistic regression analyses. Of the six children (three IA, two PA/TA and one JIA) having an arthrocentesis 2–8 days before MRI, two (both IA) had bone marrow oedema and four (one PA/TA, three IA) had soft-tissue oedema. There were no cartilage changes. We studied MRI joint findings in three subgroups of childhood arthritis, IA, PA/TA and JIA, in the early phases of disease and found significant differences among the groups in the occurrence of bone marrow oedema, soft-tissue oedema, synovial features and cartilage appearance that may help distinguish IA and JIA from other subgroups of arthritis. IA and JIA are the two most important groups to identify because of the need for early treatment. Previous studies have focused on separating JIA from TA [12, 13, 14] or described MRI findings in later phases of JIA [15, 16, 17, 22]. We included data from several appendicular synovial joints as opposed to previous studies of either hips or knees. In all synovial joints, it is expected that the pathological inflammatory process will act in a similar way . In our study, children with JIA had synovium with irregular thickness and low signal intensity synovial tissue significantly more often than the children with IA and PA/TA. Low signal intensity synovial tissue may represent fibrosis or haemosiderin deposits more often found in chronic disease. Such a finding in a presumed early phase of disease supports Gardner Medwin et al. in their description of JIA as an insidious disease without observed symptoms in a phase when there can be typical MRI findings of arthritis. This is also reflected in the significantly longer delay from start of symptoms until first physician consultation for patients with JIA than for patients with IA or PA/TA. In our IA group, 50% had bone marrow oedema involving more than 1/3 of the epiphysis, meta- and/or diaphysis. In agreement with previous studies [12, 13, 14], children with IA had a higher proportion of bone marrow oedema than children with TA. However, the difference was statistically significant only for bone marrow oedema involving more than 1/3 of the epiphysis, meta- and/or diaphysis. This is in accordance with a study by Shabsin et al. that shows that small amounts of high signal at T2-weighting can be a normal finding in the bone marrow of children. In accordance with Yang et al. , Lee et al. and Kwack et al. , the IA group had soft-tissue oedema in a higher percentage than the other subgroups. However, only in our study and in the study of Yang et al. was this difference found to be statistically significant. In an inflammatory joint process, proteolytic enzymes can cause focal epiphyseal or meniscal cartilage joint lesions . These are known in all subtypes of arthritis, especially in aggressive JIA. In our study of recent-onset arthritis, this finding was most frequent in the IA group. Depressed epiphyseal perfusion of bone or cartilage in the acute phase shown as reduced contrast enhancement can lead to later osteonecrosis and was only found in the IA group (25%). Kwack et al. and Yang et al. also found this to be most frequent in IA compared to TA. In agreement with Kwack et al. , Yang et al. and Lee et al. , in their studies of septic arthritis versus TA we did not find any significant difference between the IA and PA/TA groups with respect to degree of joint fluid. Furthermore, the amount of joint fluid in these groups did not differ significantly from that found in the JIA patients. No significant difference with respect to synovial thickness was found among the groups. 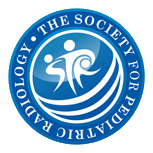 With the reservation that PA and TA were considered as one group, the lack of difference concerning synovial thickness between TA and septic arthritis is in agreement with Lee et al. and Kwack et al. , but not with Yang et al. who found that septic arthritis had thicker synovium. Nearly every MRI joint characteristic was found in the three subgroups, but there was a definite trend for findings to point in the direction of either IA or JIA, also in accordance with previous studies. The need for sedation makes it challenging to recruit enough patients in MRI studies of acute arthritis in small children. However, the number of children in our study seemed sufficient to assess the predictive values of MRI joint findings in early IA and JIA. For the PA/TA group, no significant associations were found, possibly because the group was too heterogeneous. However, there was a tendency of a higher frequency of plain hydrops with smooth, only slightly thickened synovium in this group. There are several limitations to our study. It was designed to assess whether MRI could help differentiate among important subgroups of arthritis, not to evaluate the diagnostic efficacy of MRI. Our MRI findings only apply to patients with similar inclusion criteria (high clinical suspicion of inflammatory joint or bone disease combined with fever, ESR >30 mm/h, CRP >30 mg/dl, WBC >12 × 109/l, first referred for suspected arthritis). It is a weakness that some of the JIA patients had longer than 6 weeks’ duration of symptoms. However, since this was part of an incidence study, all children diagnosed with arthritis from May 2004 to June 2005 were included. Symptom duration <6 weeks was one of the criteria for referral, but not a mandatory criterion for inclusion. For some children, the date of symptom onset was difficult to determine, probably because of insidious onset and/or fluctuating symptoms. Symptom duration differed significantly among the three subgroups of arthritis and could be a confounding factor in the interpretation of the results. Symptom duration was, however, found not to have any significant associations with the MRI findings. Some of the IA patients had unexpectedly long symptom duration. Several of these children had arthritis secondary to low virulent osteomyelitis. Riise et al. found in analysing the same population that 31% of the patients with osteomyelitis also had arthritis. Differences in age among the subgroups were not accounted for in our analyses, but based on experience we do not believe that MR findings of inflammation of synovium or soft tissues are significantly influenced by age. Bone marrow oedema can, however, be difficult to interpret in newborns due to normal variations and high cell density. It may also be regarded a limitation that each subgroup of arthritis comprised a multitude of different appendicular joints. However, they were all synovial joints known to respond to inflammation in a similar manner. It is, however, possible that differences in anatomy among the joints could have affected our results. A further weakness of our study is the inclusion of six children subjected to arthrocentesis prior to MRI. This might have influenced the amount of joint fluid and soft-tissue oedema present at MRI, but since it was highly unlikely that more important findings such as synovial inflammation and bone marrow oedema could have been affected, the cases were included. Due to the multicentre design of our study with use of different MR units, there was a wide variation in the MR sequence parameters used. This would have been a weakness if quantitative estimations such as percentage contrast enhancement, signal-to-noise ratio or contrast-to-noise ratio were estimated, but probably had little significance for our reported findings. In the setting of children referred to hospital for acute joint inflammatory disease, we found MRI to be a useful supplementary tool in distinguishing among different types of arthritis. Extensive bone marrow oedema, soft-tissue oedema and reduced contrast enhancement in the epiphyses were more frequently found in IA, while non-enhancing, low signal intensity synovial tissue and irregular thickness of the synovium were more frequent in JIA. MRI is an important method to support and verify the diagnosis of childhood arthritis, and to exclude or verify important differential diagnoses such as osteomyelitis, tumours and fractures. We thank Are Hugo Pripp for advice and assistance with the statistical analysis. We thank Kai Handeland for help with data collection, and we thank the staff in the departments of pediatrics and radiology at Akershus University Hospital, Buskerud Hospital, Ullevål University Hospital and Rikshospitalet University Hospital for collaboration in recruiting patients and making this work possible.